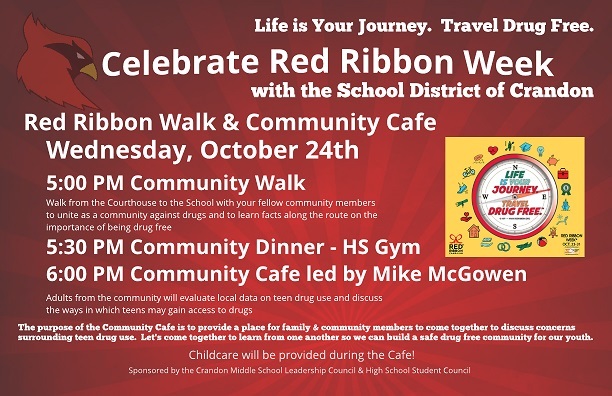 This October the Leadership Council at Crandon Middle School is promoting a community-wide Red Ribbon walk and Community Café.The goal of the council is to have students, families and community members join forces to promote the importance of being a drug free community. 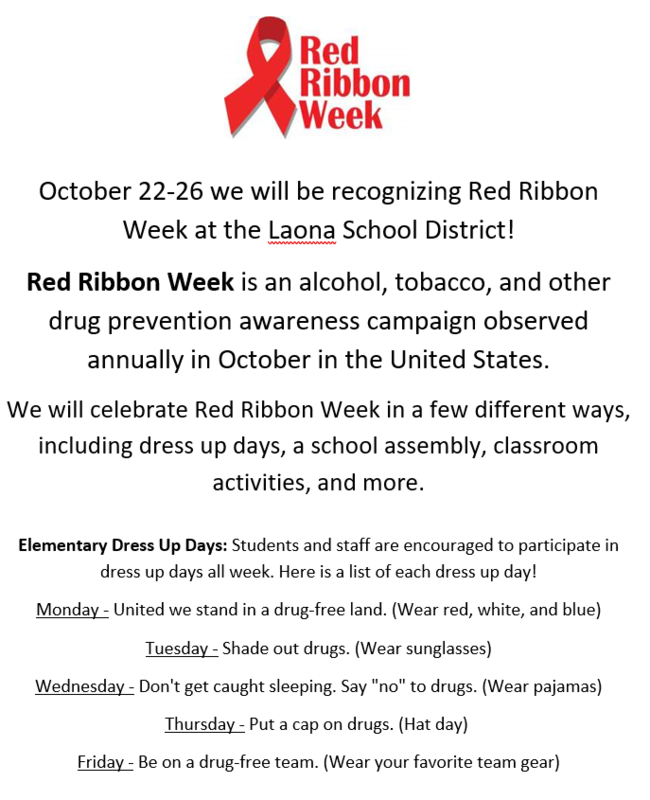 Red Ribbon Week is a national campaign that runs from October 23-31. 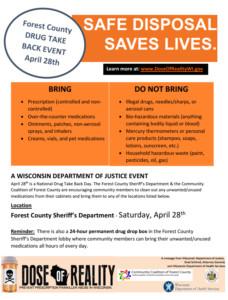 The walk will begin at 5pm on Wednesday, October 24th and will start at the Courthouse Square, downtown Crandon. 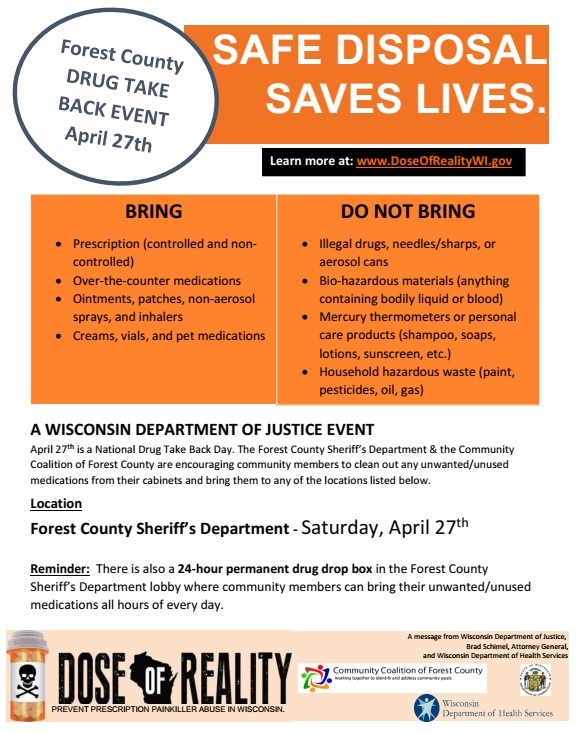 We will walk together as a community that stands against drugs from the courthouse to the school using the walking trail. 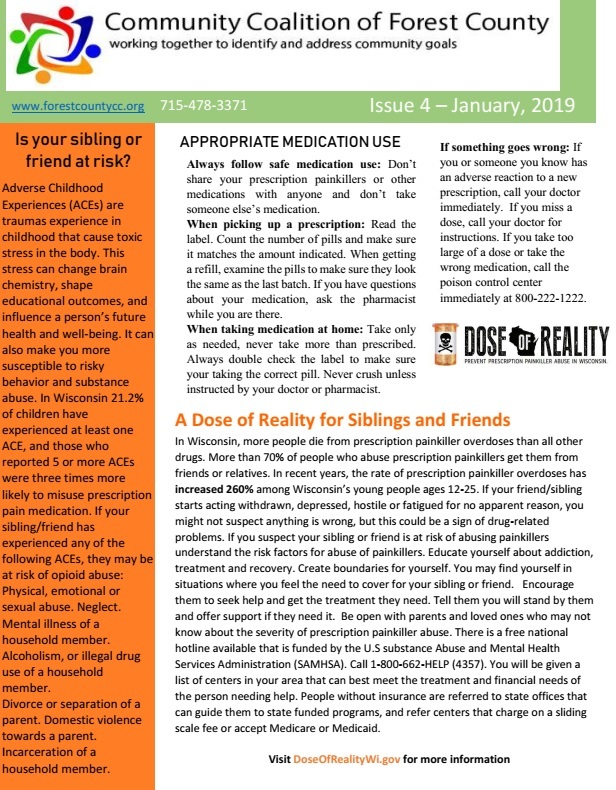 Along the route, participants will have an opportunity to view positive messages on being drug free which will be posted at local businesses and spots along the trail. Once at the school, a light snack will be served and Mike McGowan, a nationally known trainer, consultant and motivational speaker, will guide a Community Café. 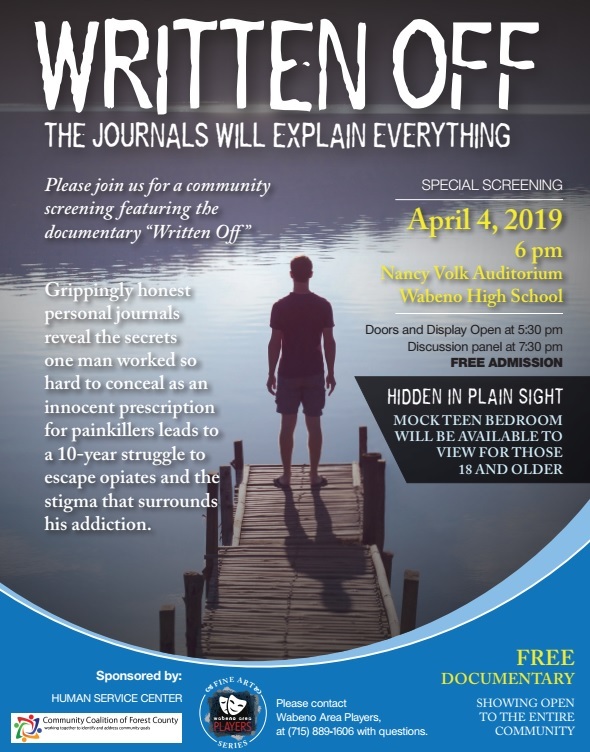 The purpose of the café is to give the community stakeholders an informal and safe place to discuss concerns surrounding teen drug use. The stakeholders include family members, community members, business owners and the various community agencies. Please consider joining us in promoting positive and healthy habits for our youth. The entire community is encouraged to wear red on October 24th to show support for Red Ribbon Week. 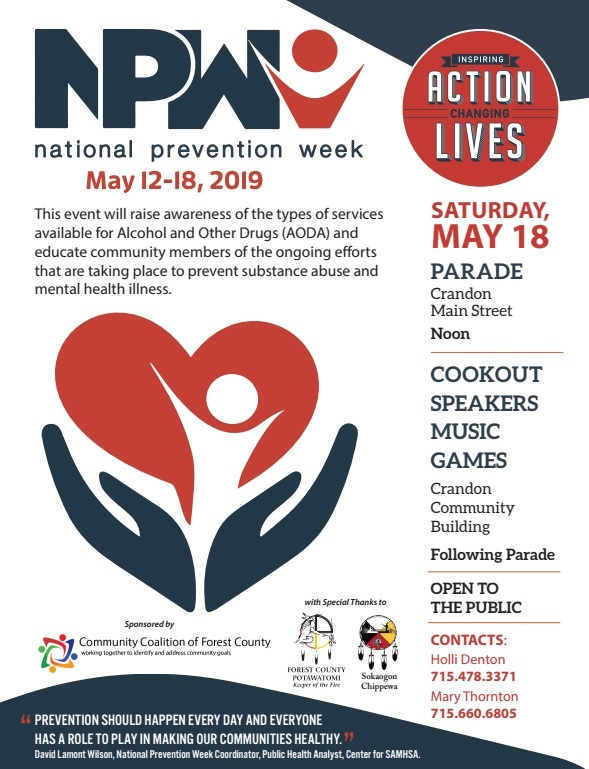 If you have any questions, contact Tina Taylor at 715-478-6166 or taylotin@sdofcrandon.com.